At the height of its manufacturing success, more than 400 men, women and children crossed the bridge over the headwaters of the Housatonic River to head to work at the Pontoosuc Woolen Mill. They produced woolen blankets for carriages and for soldiers in World War I and fashionable balmoral dresses for women throughout the 19th century. This was not only the longest operating woolen mill in the city, but also the largest complex, consisting in 1926 of over 25 different buildings, including worker and manager homes, a store, a boarding house, warehouses, boiler rooms and main buildings for the carding, spinning, weaving and dyeing functions. Its main building housed a water wheel in its basement, drawing power off a canal diverted from the river, and 4 floors of carding, weaving and dyeing rooms. Originally constructed in 1826, the mill took over the site of Keeler’s saw and grist mill to take advantage of its dam at the southern end of Pontoosuc Lake. Its unique features include its bell tower/staircase with a multi-colored slate roof and the raised decorative friezes at the corners of the gables on Building A. An elevated walkway between the main buildings and the rear warehouse was torn down. Worker and owner houses bordered the mill, as well as a store and a trolley opened in the 1870s to transport workers from the center of Pittsfield to the mill in the north of town. Shortly after its 100th anniversary, ownership transferred to Wyandotte Mills of Maine. 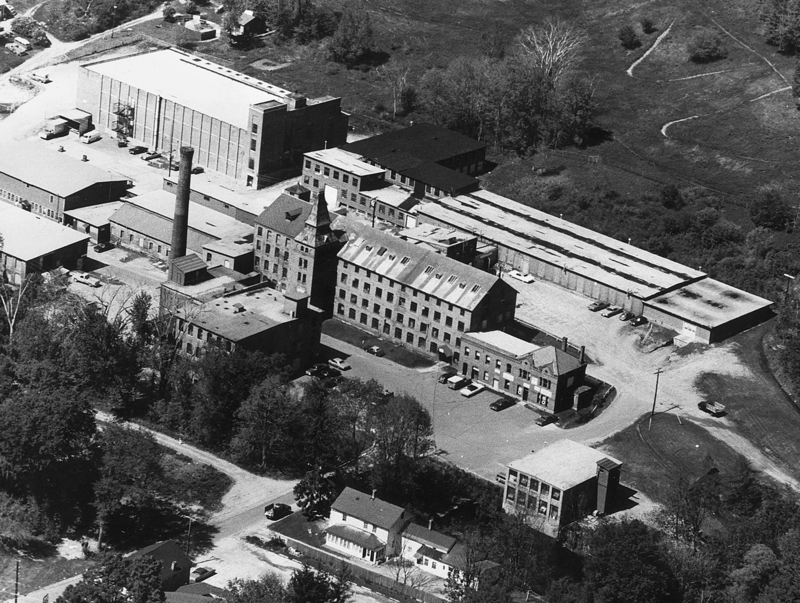 Wyandotte ran the mill until 1963, the last of its kind in Pittsfield. Today, it is an industrial park, housing small businesses with its large buildings perfect for warehouses. Checking this site as I am at an interactive art exhibit hosed at the university of Alberta by Annea Lockwood. It us a sound map of the Housatonic river. And site 4 occurs st this Pittsfield location. I wanted a visual to go with the sounds so I looked up this site. All the way from Alberta! That sounds like a wonderful project. Just saw it on the University of Alberta website. And here’s one more photo of the mill with the river in the foreground.